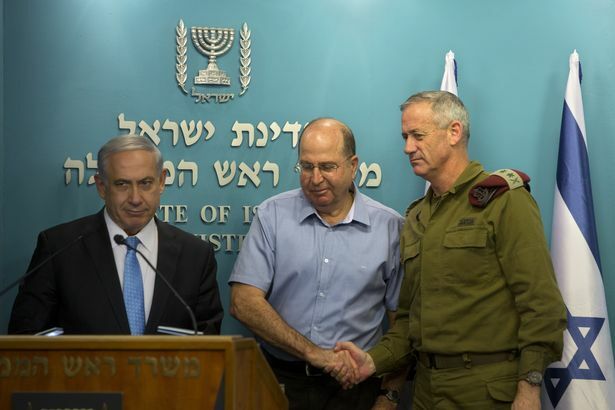 In their press conference yesterday, Prime Minister Netanyahu, Defense Minister Ya’alon and Chief of Staff Benny Gantz insisted that we won the war against Hamas. They correctly pointed out that Hamas, and the entire Gaza strip, suffered unprecedented damage that will take many years to repair, that Hamas lost around 1000 fighters, some of its most senior leaders, and most of its rockets, tunnels and other weaponry, and that Israel benefitted from wide-ranging international understanding. They also pointed out that Hamas was forced to capitulate, eventually accepting the very same cease-fire proposal that they refused before the ground invasion. Netanyahu made the decision to avoid a full-scale reconquest of the Strip, which would probably have led to the deaths of many of our soldiers and subjected Israel to significant international pressure. Apparently, he also doesn’t want to have to rule the Gaza strip again. On the other hand, several members of his cabinet – most notably Foreign Minister Avigdor Liberman and Economy Minister Naftali Bennett – argue that because of that very decision, the operation was a failure. They correctly point out that while Hamas has been weakened it has not been destroyed, and that if they are able to replenish their supplies and reinforce their control as they have after previous cease-fires, the next round of fighting is inevitable, and it will be even more difficult next time. Additionally, at least in Bennett’s opinion, the prospect of regaining control over the Gaza strip, including the ruins of Gush Katif, would not be a negative thing. So who is right? Did we win or lose? The answer will be clear only with time. If we are able to keep Hamas weak and prevent it from rearming, and if sustained quiet prevails on our southern border for a significant period of time, then Netanyahu’s tactical decision will be vindicated. If not, then we indeed failed to achieve our objective. Personally, while my world-view is closer to Bennett’s, I’m willing to wait and see. We can never agree to a Palestinian state with total sovereignty over any land west of the Jordan River. This war we just fought against a fairly powerful Hamas army was a direct result of our disastrous withdrawal from Gaza nine years ago. Even if Netanyahu is right that reconquering the Strip isn’t wise right now, we can never allow any Palestinian entity, or anyone else for that matter, to have sovereignty there. Even more so, we cannot entertain any such thoughts regarding any parts of Judea and Samaria, which are significantly closer to our population centers. On a day when Al Qaeda militants just captured the border crossing between Israel and Syria and imprisoned 43 UN peacekeeping soldiers, we should be asking ourselves what things would look like if, God forbid, these guys were sitting on the hills overlooking Tiberias. Thank God we never made a deal with Syria and withdrew from the Golan. Any such ideas should be removed from the table permanently. And if Netanyahu is right, it’s only because the world tied our hands. If we had international support, we could and would have recaptured the Gaza strip and destroyed Hamas long ago (or probably would never have left in the first place) – and the Arab population of Gaza would be much better off. We must therefore hold the UN, the Europeans, and even the Americans, partially responsible for this mess – even if President Obama and Secretary Kerry are insulted when we say that. Those leaders, however, are paying the price for their own errors as well. Obama took pride in the “achievement” of withdrawing American forces from Iraq, he balked and decided to back down from his threats to attack Syria, and in return he got ISIS and the brutal murder of James Foley. According to intelligence officials quoted in the media, the fear that ISIS operatives (especially those like Foley’s murderer, who have Western passports) will now conduct major terrorist attacks on American or European soil is very real. One can only shudder with horror at the thought of what might happen if American and European foot-dragging allows Iran to obtain a nuclear weapon. And Prime Minister Netanyahu is absolutely right that all of these groups (Hamas, ISIS, Al Qaeda, Hezbollah, Iran, etc.) are ultimately all the same. History has shown time and again that what starts with attacks against Jews never ends there. Thousands of years ago, God told Abraham “I will bless those who bless you, and those who curse you I will curse” (Genesis 12:3). It has been true throughout history, and it is happening again in front of our eyes. This entry was posted in Uncategorized on August 29, 2014 by rabbihaber.